Area 11 are a four piece rock band from Bristol, UK, formed in 2011. Despite existing “under the radar” as far as the mainstream and music media is concerned, the band has amassed the kind of social media following (over 100k subscribers and 10 million plays on their YouTube channel, as an example) that would put artists considered many times bigger to shame, enabling the band to sell out shows, records and merchandise runs in quiet semi-anonymity. In 2015, the band undertook two UK headline tours. the first, in July 2015, pretty much sold out across the board (their London Barfly show sold out in less than 48 hours, with cities such as Manchester, Birmingham and Brighton not taking much longer). 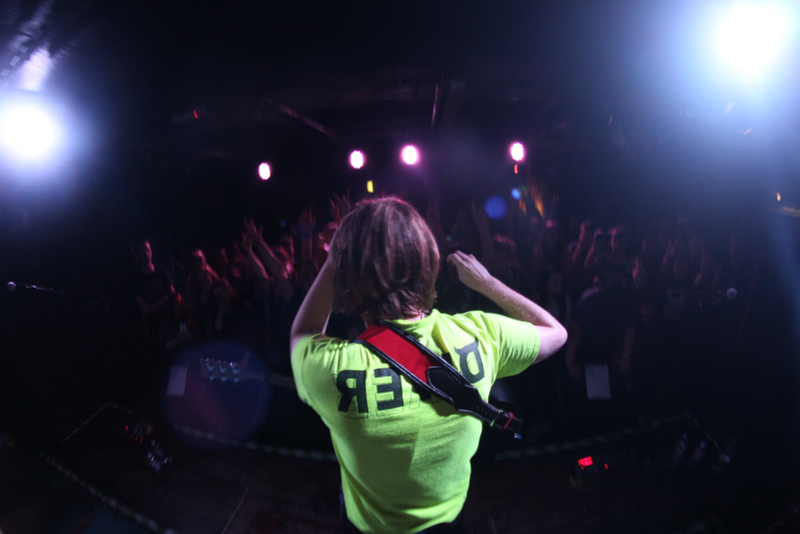 The following Winter Tour saw Area 11 stepping up the venue capacities significantly, with the inclusion of shows such as the 500 capacity London Underworld. Between tours, the band spent the majority of 2015 holed-up and piecing together their second full length album, “Modern Synthesis”, which was released on 1st July 2016 via new home Cooking Vinyl, featuring 11 new tracks including “Versus” (which was released as a single in November 2015) and “Watchmaker”. The album performed well, exceeding even the band’s own expectations, reaching no.2 in the UK rock albums charts (just behind blink-182’s latest release) and 27th in the overall UK album charts. The band has since gone on to tour extensively around the UK in 2016, with sold out shows taking place around the country, with a highlight being their performance at the Islington O2 academy. Looking forward to playing their first ever major UK and European festivals in 2017, and with work on their third album now underway, it is an exciting time to be in Area 11. Why do they choose Rotosound? Rotosound are British musical institution and it’s a pleasure to be involved with them. Great sounding strings that can take a lot of punishment. They stay bright for a very long time, and when you jump to the acoustic guitar in the middle of a sweaty and chaotic gig, you need strings to be just as durable and playable as any other piece of gear. You can trust Rotosound for that.